Rade Jarak (Dubrovnik, 1968) published more than twenty books. He graduated in Fine Arts at the Art Academy in Zagreb, and works as a professor of painting. He initiated the virtual magazine Knjigomat, online literary project which is also published in print version. 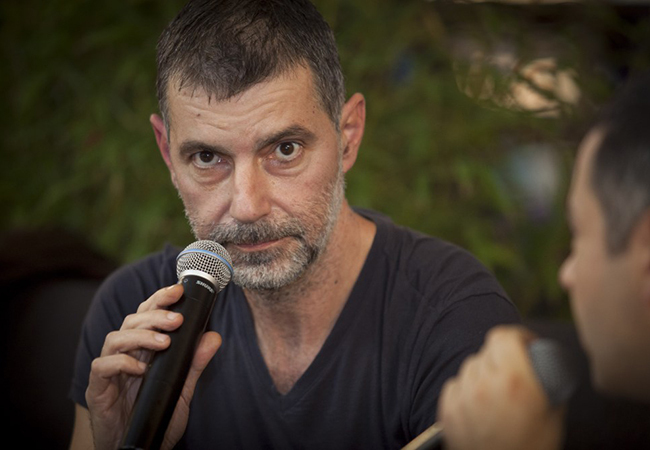 Recipient of the following awards and honors: Večernji list Award for the short story Nino Rovinjež (2001), third prize on the Bejahad Jewish short story contest (2002), second prize for one-page short story Urn on Iskon’s web contest Ekran priča (2003) and Jutarnji list Award for best prose work in 2008 for his novel Deserts.